How to choose climbing shoes that suit me? 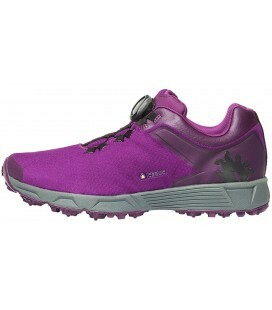 The climbing shoes are the ideal footwear for the rock climbing and gym climbing for its great adhesion and precision. There are many types of climbing shoes according to their type of shape, their symmetry, materials, etc. In fact, the wide variety of climbing shoes on the market makes it a difficult choice. If you need advice to choose your climbing shoes, you can call us at 977 82 12 32 or, better yet, come to our shop in Cornudella del Montsant (Tarragona) to try them. One of the factors to which we must pay greater attention is the choice of size. You must fit the climbing shoe tight to your feet to assure a good subjection and to give precision to the edging. We must accept that the climbing shoes are not comfortable. However, if you fit the climbing shoe too tight it will hurt and prevent us from enjoying 100% of the climb. In terms of sizes, each brand has its own dimensions, so the sizing can change in one or more points according to the manufacturer. The curvature of the tip or the type of arching of the foot of the cat plays an important role in climbing. When the foot of the cat has a tip that ends down, the climber can hold more accurately to small strips. It is said that the more arched the cat's foot, the more aggressive it is. The extreme tonnage, therefore, is intended for advanced climbers. Depending on the curvature of the sole and the shape of the rand, we say that a climbing shoe has more or less asymmetry (or that they are more or less aggressive). Usually, asymmetrical climbing shoes are more uncomfortable but they have better edging and benefits, exerting all the force in the big toe. However, if you are starting or looking for comfort, we recommend climbing shoes with less asymmetry. About soles, there are different types of rubbers and thickness. A climbing shoe with a stiffer or thicker sole will be ideal for leaning on crimps and small holes, while the softer or thinner ones offer greater sensitivity and adhesion to the rock. Usually the climbing shoe of leather yield more than the synthetic ones. This is a factor to take into account when choosing the leather climbing shoes size, since we must choose some tighter ones, thinking that later they will yeld more. Mountain running allows you to release a lot of endorphins, as well as the health benefits of your practice, the fact of playing sports in the mountains or nature has an added value, leaving behind stress, breathing fresh air and connecting with yourself. When running through the mountains it is essential to have good trail running shoes, which protect us from possible accidents, facilitate stride and provide the necessary comfort. Therefore, it is important to choose lightweight and resistant shoes specially designed for trail running. In Goma2 you can find a variety of trail running shoes at a good price from the main brands in the market. Hiking slippers are those that protect us from the adversity of the road thanks to its grip, stability and protection of the ankle in case of twisting. They also provide the comfort and comfort necessary after several hours of walking as well as avoid possible wounds caused by friction. The great diversity of lands and terrain we can find (sand, rock, leafy paths ...) makes it necessary to have different types of trekking shoes. We can find boots, half-boots and slippers of various characteristics, according to the way we will walk. It is recommended, for example, to choose a high-grade trekking boot for those unstable and high mountain trails; In contrast, some slippers for short and flat trekking. The type of mountain where we will go hiking is one of the most important factors to choose your boot or slipper, but not the only one. The type of activity, physical form, foot morphology, and even meteorology in the area are also important factors to take into account when choosing a trekking shoe. In Goma2 we work with the best brands of sneakers for trekking and mountain to offer you the quality you deserve. Alpine and ice climbing boots. 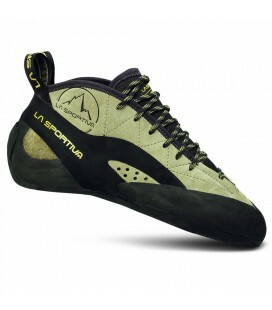 We have a selection of high quality footwear from La Sportiva, Scarpa and Garmont. Take advantage until March 31st to buy mountain boots with a 20% discount. A good fit is essential: When trying some mountain boots, we should feel that the foot is tight, leaving a space at the front of the foot and avoiding rubbing that could cause blisters. One tip is to try the boots at the end of the day, which is when the foot tends to be most swollen. Outsole: It can be rubber or polyurethane. Rubber has a good grip and durability, so they are ideal for long routes, but as a disadvantage, it is something heavier than other materials. Polyurethane, on the other hand, also has a good grip and is lighter, although abrasion resistance is not as good, so lighter use is recommended. Fabrication materials: Although leather is usually more durable, synthetic materials are lighter and more flexible. They also protect against cold, snow and rain. Make sure they're waterproof, though. Reinforcements in the toe: When walking on the mountain, blows on the rock with the toe of the boot are common. To avoid premature wear of shoes, it is advisable to choose boots with reinforced toecaps. We have a wide variety of approach shoes, with products of brands like Five Ten, La Sportiva, Garmont, Boreal and Scarpa. High quality at excelent prices. 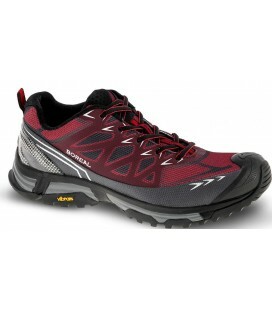 Lightweight and versatile trail-running shoes which incorporate a very adherent Vibram Exmoor outsole. It has a rubber protection for the toe and a double-density EVA foam midsole to maximize comfort. 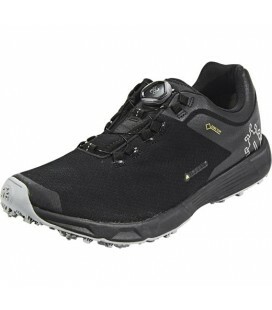 Adherent and stable approach shoe, perfect for demanding hikes, easy climbing and all kind of trekkings. 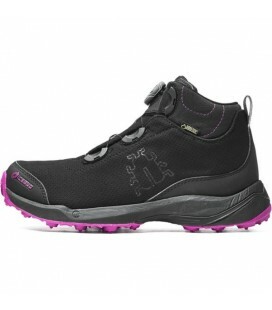 It features the Heel Lock technology and Vibram® XSTrek sole to ensure maximum performance. Scarpa's new approach shoe, very light and comfortable. The upper is built in water resistant suede leather. Devoloped for technical approach routes, they have a very adherent Vibram Dynamis LBT outsole with Megagrip compound. New version of the Wild Cat of La Sportiva, a very light and comfortable trail running shoe ideal for long races on irregular terrain. It has the Impact Break System for a better impact absortion. 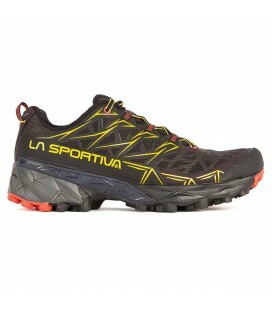 New trail running boot model from La Sportiva, designed for extended use on off-road terrain, but due to its excellent versatility, they are perfect for any outdoor activity. The Akyra combines the resistance and protection of the Ultra Raptor with the lightness and agility of the Akasha. The ultimate technical, big wall, free climbing shoe developed in collaboration with La Sportiva athlete Tommy Caldwell. Asymmetrical and minimalist climbing shoe with great precision and grip, mainly designed for sport climbing and bouldering. The clasic Anasazi Pink redesigned. It's an all-round, comfortable and very precise shoe. Perfect for granite alpine routes, technical cracks and thin vertical walls.